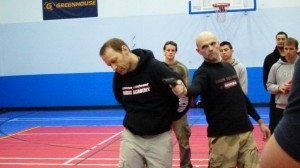 Russian Systema once a secretive military martial art, now brought to Exeter, Devon, by Systema Sout West and its head instructor Mr Andy Seatherton. We would like to encourage you to come and try a Systema class, in order to experience Systema training first hand. Below we have provided more information about this unique russian martial art, our club Systema South West based in Exeter, Devon and our instructor Andy Seatherton, so we hope to see you soon. Click on a link or each sections corresponding image to get more information. Russian Systema is a unique, military origining, russian martial art. Once confined to the tactical and Special Operations Units of the russian military, it has recently been brought to the worlds attention and freed from its secretive teachings in the russian armed forces, by the likes of Colonel Mikhail Ryabko and his top student Master Vladimir Vasiliev. Systema South West was the first russian Systema training school in the South West of England. The initial members of the club first meet at Systema seminars a few years before, and in 2012 decided to meet up and started training together as a group of Systema enthusiasts, who simply wanted to train in this unique and fascinating russian martial art system. After keeping this arrangement for a few months, our russian Systema classes started to become more regular and intense, while in the background attending many seminars with the top Systema masters. 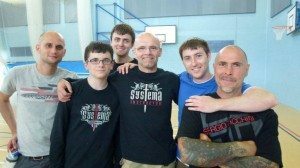 At this point in 2013, it was decided that we would establish our school in Exeter, Devon and open our doors to public, inviting everyone to come and experience the unique system we call Systema, under the tuition of Andy Seatherton. Andy Seatherton founder and chief instructor of Systema South West in Exeter, Devon, began training in the martial arts at the age of 9 years old, intially begin his martial arts career at an Exeter Judo club in 1972. 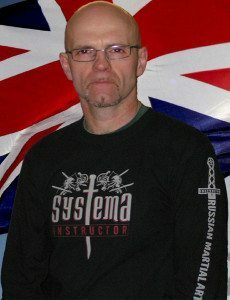 Andy is passionate about martial arts that are effective and practical, which is why he was really taken by russian Systema when witnessing its unique style and practical application by the likes of Martin Wheeler and Vladimir Vasiliev. Andy Seatherton has also trained had the experience of training in Judo, Aikido, Ju-Jitsu, Tang-so-do, European Boxing, American Kenpo and Escrima.